Member of the Editorial Board of Angewandte Chemie. Collaboration in the field of Graphene and its derivatives, covalent and non-covalent functionalization. Emmanuel P. Giannelis‘s research interests include polymer nanocomposites, nanoparticle fluids, and nanomaterials for energy conversion and storage. He is a member of several professional organizations and a corresponding member of the European Academy of Sciences. He is a highly cited author in Materials Science and is listed as one of the top 25 cited authors on Nanotechnology by ISI. He received Associates Award in Applied Polymer Chemistry (PEL) and was awarded by the B.F. Dodge Distinguished Lecture (Yale University) 2009. Wolfgang F. Lindner‘s research interests were influenced by pharmaceutical (life) sciences and by separation sciences related to HPLC, GC, CE/CEC and MS. In this context special focus was drawn towards non-covalent molecular interactions and recognition phenomena within the frame of stereochemistry and enantiomer discrimination. The development of novel synthetic selectors (receptors) useful for enantioselective separation techniques but also for bioaffinity chromatography lies at the interface of organic, analytical and biological chemistry which characterizes best his scientific credo. He has received a number of awards among them are the Chirality Medal, the ACS Award for Chromatography, the AGP Martin Medal, etc. 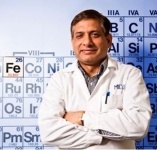 Prof. Sharma’s research interests are Chemistry and applications of ferrates (VI, V, and IV) (inactivation of virus, bacteria, and toxins in water and air and removal of emerging contaminants such as antibiotics, estrogens and toxic metals in water); Formation, fate, and toxicity of silver and gold engineered and natural nanoparticles in aquatic environment; Applications of ferrites to destroy toxins and pollutants under solar lighteducational background is in analytical, marine and environmental chemistry. He is experienced in solution thermodynamics and kinetics. He has received a number of awards among them are Outstanding Chemist Award (ACS) and Excellence in Review Award (EST). Prof. Aharon Gedanken, of the Department of Chemistry, is a member of the Nano Materials Center at the Institute of Nanotechnology and Advanced Materials (BINA), and a recipient of the President of Israel Achievement Award for coordination of a European Funded Research. Gedanken is a pioneer of sonochemistry. His many discoveries include a process that removes heavy metals ions from polluted water using aquatic plants and microwave radiation. Gedanken is an expert in the fabrication of nanostructures with special properties such as antibacterial, antiviral (i.e. Swine influenza), antifungal and antibiofilm. Together with Prof. Shulamit Michaeli, Gedanken has also recently fabricated RNA-based nanoparticles that can “silence” specific genes and are kept stable at room temperature even after a week. Gedanken has developed a microwave-based process that transforms consumer cooking oilsand burned oil from restaurants into biodiesel in 10 seconds for a stirred reaction, and in 40 seconds for an unstirred reaction. He has also developed a one-step process, usingmicroalgae grown on seawater together with CO2 released from a power station, to convert allthe lipids in the algae into biodiesel. Shin-ichi Ohkoshi is trying to open a new field of solid state chemistry by design and synthesis of novel magnets which have novel properties and functionalities. The summaries are described by the phenomena as follows: 90-degree optical switching of output light in the first chiral photomagnet, Hard magnetic ferrite with gigantic coercivity and high frequency millimeter wave rotation, Synthesis of a metal oxide with a room-temperature photoreversible phase transition, Light-induced spin-crossover magnet, Synthesis of metal complexes with novel magnetic functionalities, Magnetic property in metal oxides. 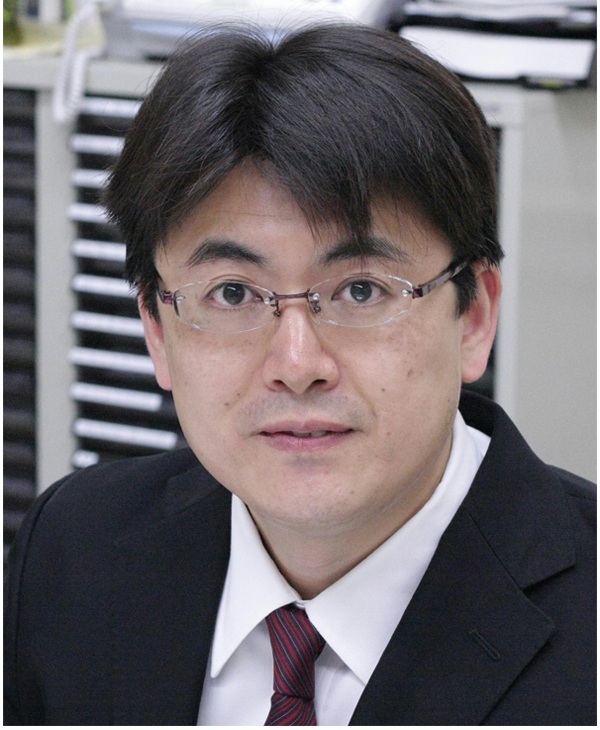 Prof. Shin-ichi Ohkoshi was awarded the 23rd IBM Japan Science Prize. He also received the Japan Society for the Promotion of Science Prize and the Japan Academy Medal. Prof. Kim‘s fields of research include investigations of quantum theory (ab initio theory, nonequilibrium Green function theory, Monte Carlo and molecular dynamics simulations, quantum computing), molecular design (intermolecular interactions, clusters, molecular recognition, receptors), and experimental nanosciences (nanomaterials, molecular devices, spintronics, DNA sequencing). 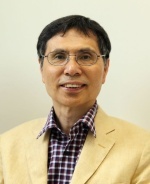 He is a Fellow of the Korea Academy of Science and Technology, a member of International Academy of Quantum Molecular Science, and a Korea national honor scientist. He received a Korea Premium Science and Technology award. Martin Pumera’s research interests are Graphene; Microrobots, nanomotors; Analytical Chemistry; Nanotechnology, Nanomaterials, Materials Chemistry; Electrochemical NanoBiosensors; Lab on a chip; Microfluidics, Electrophoresis. Creation of nano and micro scale materials based electrochemical biosensors, bioelectronics and biochips for ultrasensitive biosensing. He perform both fundamental and applied research to gain deep understanding to the phenomena on nanoscale. He received „ERC-StG. European Research Council Award“ for an Excellent Track Record and a Ground-Breaking Research Proposal 2012 and "SPMS Young Researcher Award". Dr. Dong’s research interests are the carbon based nanomaterial synthesis and fabrication, molecule self-assembly for bioapplications and nanomechanical measurement and nanocharacterization. He has also been fully involved in both the implementation and further development of a novel SPM technique to study the dynamics and material properties of biological systems with submolecular resolution and high scanning speed. He received Prestigious STENO Independent Research Grant 2010 and NT-MDT Atomic Force Microscope International Contest,1st Place Award. Prof. Sivula’s research focuses on bottom-up approaches to control nanometer scale morphology of organic and inorganic semiconductors, fabrication and standardized characterization of photovoltaic and photoelectrochemical devices for solar energy conversion. He has received a number of awards among them are Prix Zeno Karl Schindler/EPFL and “Advances in Advance” Article Award. The areas of Prof. Kuzmann‘s research activity include physics of alloys, high temperature superconductors, heavy ion irradiation effects, coordination chemistry, surface chemistry and nanochemistry, corrosion studies, chemical, biochemical, biological, mineralogical and industrial applications of Mössbauer spectroscopy. 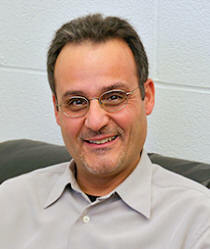 Professor Kuzmann is a recipient of many prestigious national and international awards. He is an editor of Hyperfine Interactions, a member of the MEDC International Advisory Board, the chairman of the committee of Materials Testing with Nuclear Methods at the Hungarian Academy of Sciences, a member of the ISIAME Scientific Executive Committee and a member of the IBAME Board. Kevin Schug’s research has been focused on the theory and application of separation science and mass spectrometry for solving a variety of analytical and physical chemistry problems. 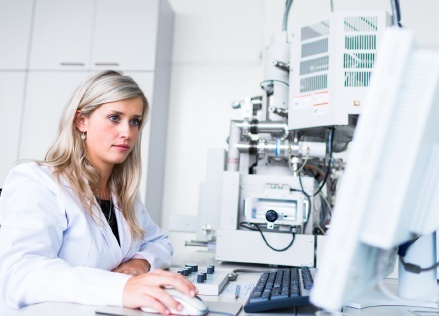 Two main research threads are currently pursued with some intertwined aspects: 1) Fundamental studies of chromatographic separations and mass spectrometry ionization mechanisms; and 2) isolation, characterization, and trace analysis of bioactive compounds in complex matrices. Dr. Schug has received the 2009 Emerging Leader in Chromatography award given by LCGC magazine, an NSF CAREER award, and the 2009 Eli Lilly and Company ACACC Young Investigator Award in Analytical Chemistry. 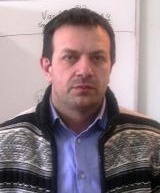 Prof. Georgakilas‘s research interests include carbon nanostructured materials (nanotubes, fullerenes, new carbon allotropes) – chemical modification, new composite materials combining polymers, metallic nanoparticles, organic functional groups, inorganic nanomaterials (porous, layered); metallic nanoparticles – chemical modification and their properties (magnetics, catalysis, optical properties); inorganic layered, porous nanomaterials –chemical functionalization. Prof. Miglierini is experienced particularly in spectroscopic techniques of nuclear physics such as Mössbauer spectroscopy, electron-positron annihilation and gamma spectroscopy, nuclear magnetic resonance or nuclear resonance scattering of synchrotron radiation. He investigates structural and magnetic properties of disordered materials prepared by a rapid cooling and/or by a milling (e.g. 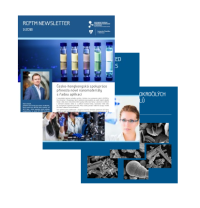 amorphous metal glasses, kvasi-crystals, nanocrystals, powdered steel), zeolites, nanobiomaterials. He is a member of International Board on the Application of the Mössbauer Effect (IBAME). Prof. Maria Bondani specializes in the characterization of photon pairs, quantification of their coherence and detection of photons. She contributed significantly to the measurement and quantification of the intensity, as well as correlations of the number of photons in twin photon beams. She, together with prof. Alessandra Andreoni, developed new high resolution techniques for measuring the number of photons even for mesoscopic twin photon beams. She is a pioneer in exploring properties of three-mode coherent states generated in nonlinear pairwise interactions. Professor Juan P. Torres focuses on the production, amplification, modulation and control of optical waves, including fields consisting of photon pairs. He is the author of major contributions in the generation of photon pairs from different nonlinear sources, including photonic sources. Prof. Torres developed a new method for the generation of photon pairs with adjustable spectral degree of coherence, which allows the generation of spectrally correlated, anti-correlated and uncorrelated photon pairs.